There are now estimated to be over a million stray dogs in Greece, victims of the debt crisis. Many people can’t afford to neuter their own dogs and so the number of unwanted puppies just escalates every year. There are shelters all over Greece set up by good people, but they rely solely on donations and volunteers and so they are mostly, run-down, under-staffed and over-flowing. 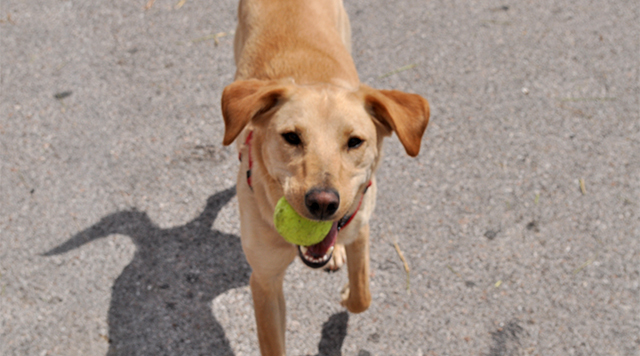 But amazingly, due to the love and care these shelter dogs receive, they are usually happy and healthy. Sadly though there just aren’t enough volunteers and for the most part they are stressed out working tirelessly in extreme conditions. Their wonderful work is often for nothing when they find that yet another stray dog, which they have nurtured, has fallen victim to the illegal but: ‘turn a blind eye’ poisonings. Vets will tell you poisoning is the most painful way for a dog to die. There are also lots of animal lovers who travel to Greece and are really upset by what they see. They would love to do something to help make a difference but until now didn’t know how to. In 2016 the Snowbizz team formed Starlight Barking. If we could prove a point and link up resort reps everywhere with their local shelters and tell their guests about the great work going on behind the scenes we could finally make a difference. Many of our tour operator partners have already joined us. Please give your support and encourage the rest to follow! Our video will soon be launched on: www.starlightbarking.co.uk. But meanwhile here’s a little taster! 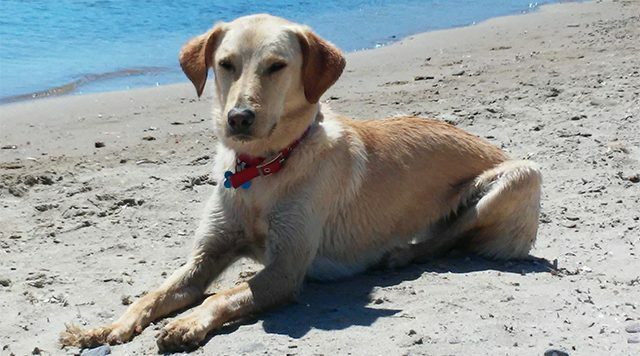 The first video story is based on my own Greek rescue, Zeus. The script was dreamed up over a bottle of wine with my lovely friend Despina from Lemnos. We imagined Zeus, the stray, taking on his own marketing and sending a selfie to a potential adopter! When I re-read it, I never imagined the dogs could pull it off, especially the shower sequence. 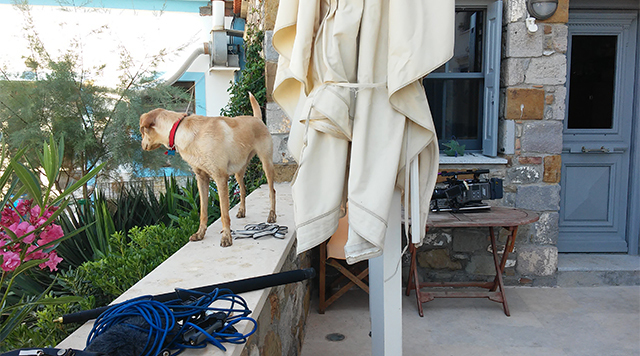 We had great difficulty finding doggie actors in Greece. 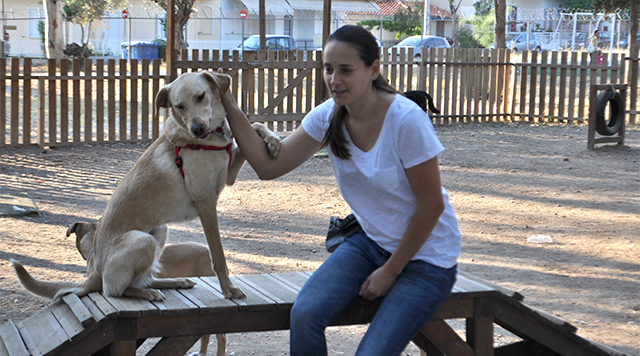 In the end we were very lucky to find a wonderful young trainer, Athanasia, at Dog Talk. Athanasia literally jumped at the opportunity to show case the work she had achieved with two of her client’s rescue dogs, gorgeous ex-strays, Poppy and Denny. Their new owner was really kind and trusted Athanasia that the long journey – 6 hours by road followed by a 3 hour ferry trip to Lemnos to meet the film crew, where they all stayed with our other friends, Afroditi and Peter, at their dog-friendly hotel, Villa Afroditi, would be worth it and help rescue dogs everywhere. 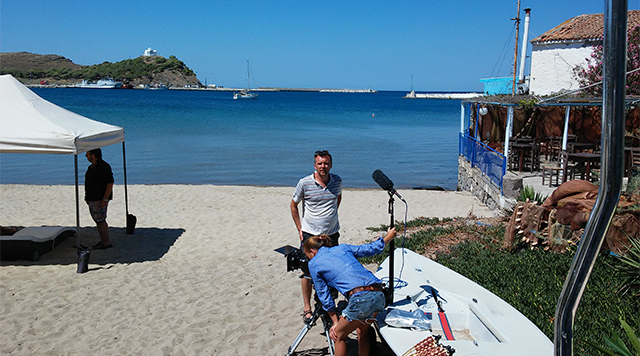 The filming was done next door to Despina’s family home down on the harbour in Myrina here. Lyndon, Oona and the film crew were brilliant. 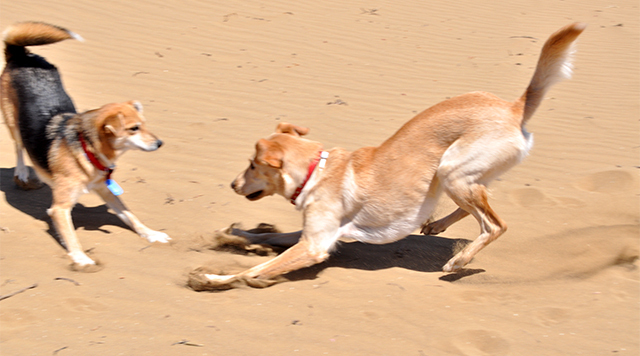 But it was Poppy and Denny the real stars…..and the greatest ambassadors for rescue dogs everywhere. We hope you love it. Please help us and share and tell all your friends about Starlight Barking.